It’s not compulsory to hire a divorce lawyer to handle your case in Singapore. However, if you choose to handle your own divorce, you should also know that self-applicants are held to the same standards as lawyers are, with regards to procedure and paperwork. As such, many divorcing couples usually find it more convenient and reassuring to engage a Singapore divorce lawyer who would be well-versed in such procedures. Chief Justice Sundaresh Menon has noted the ‘multifaceted role’ family lawyers play, especially in divorce proceedings. A good Singapore divorce lawyer will advise you on various consequences that may arise from any decisions you choose to take, such as anticipating behavior from family members and preventing any unnecessary conflict in an already turbulent time. This additional moral support and avenue for communication is an impetus for many to hire a lawyer. For these reasons, it is usually a good idea to engage a lawyer to represent you in uncontested divorce proceedings, and definitely advisable to hire one to represent you in a contested one. A divorce can bring about many issues that parties may not have thought about. For example, if your marriage was not registered in Singapore, there are situations where it may not be possible for divorce proceedings to commence in Singapore. Other adjacent issues such as immigration statuses and family violence may also come into play. Therefore, it is prudent to find a divorce lawyer who can contemplate the issues that are specifically relevant to you. Furthermore, if the parties are Muslim and require an Islamic divorce, it is crucial to find a lawyer who has experience in this field as the rules and procedures in Muslim divorce differ from a civil one. The search for a suitable divorce lawyer in Singapore may seem like a daunting task, particularly since there are so many law firms and lawyers in Singapore that practice family law. It might be useful to check if the lawyer you are contemplating possess a valid license and is registered with the Ministry of Law. The Legal Services Regulatory Authority has a search function where you can search for lawyers. A popular method for finding a divorce lawyer is through word of mouth. Friends or family members who have previously engaged a family lawyer may be able to give you recommendations to specific lawyers or law firms. However, you should note that while you have the personal assurance that a lawyer may have been a good fit for your acquaintance, legal matters are of such a personal nature that your experience may differ. It is still important for you to determine for yourself whether the lawyer is suitable for you. In our highly connected world, we can also easily turn to the internet to find divorce lawyers. A cursory search would turn up multiple results, ranging from law practices, legal advice websites as well as online forums. It is important for you to conduct appropriate research and decipher the information posted, rather than taking them at face value. Law practice websites. Most firm sites include a write-up about their ethos and values, alongside lawyer profiles and practice areas. It would be prudent for you to read through the information and evaluate if their values align with yours. Some sites also have a testimonial page where previous clients post their experiences, this can also serve as a gauge for you. Online forums. Forums such as Hardwarezone, Reddit and Sgforums allow users to post questions and seek opinions. The responses can be anecdotal so while they expose you to a lawyer or firm you may not have come across, you should undertake additional research. It might be feasible to shortlist a few lawyers to have a consultation with before settling down with one. Some law firms/lawyers charge for consultations while others don’t (We do not charge for a consultation). Your personal evaluation of the lawyer should be the deciding factor in how to choose your lawyer. First and foremost, prepare a list of questions you would like to ask the lawyer. These questions should give you an idea of their expertise, and their experience in the law. They should be able to give you an idea of the divorce procedure and what to anticipate from the proceedings. Also, it would be wise to settle the modes and expected frequency of communication between you and your divorce lawyer. While these may not be necessary during the initial consultation, it will be useful to have an idea of what your lawyer needs as some of the information may take some time to compile. Different people may have different standards when it comes to choosing a lawyer. 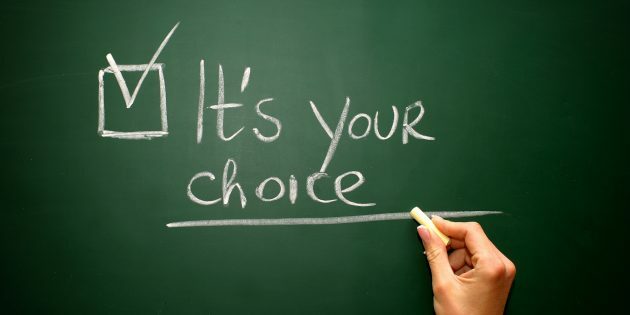 The choice can be subjective. Some clients may prefer a male or female lawyer, or a lawyer that shares the same religious views. Regardless of each person’s personal criteria, there some general guidelines that you should consider. The most important thing to take into consideration in choosing a divorce lawyer is whether you feel like you can trust the lawyer. A divorce can be messy, and it is important to have the confidence that your lawyer understands your needs and is able to represent your views in the proceedings. A divorce involves the consideration of various aspects of your life that you might not have envisaged sharing with an outsider. You will have to open up about your financial situation and background and various intimate details of your family life. Therefore, you should feel like you are able to communicate and be comfortable with the lawyer of your choice. Your chosen lawyer ought to be transparent with their fees and give you a realistic expectation of how much you may end up spending on the proceedings. A different turn of events such as going to trial can drive up costs severely. If your lawyer has set his fees according to a package, it would be sensible to check what type of work is included and what variations it can take. 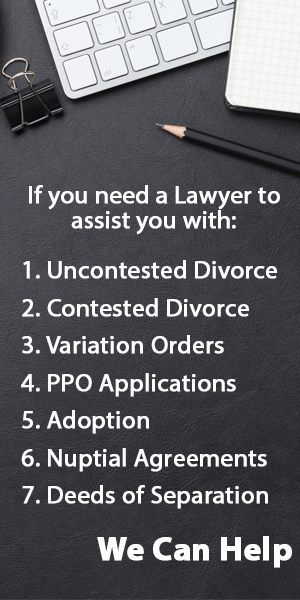 If you think that you are unable to engage your own lawyer due to financial difficulties, you may be eligible to seek assistance from the Legal Aid Bureau. Hire the Right Divorce Lawyer. We answer all your queries within 24 hours.